The European Environment Agency’s latest annual indicator report shows that the European Union is continuing to fall short of achieving several of its environmental objectives set for 2020, including for fresh and surface waters. For freshwater resources, with a target for water abstraction to remain below 20% of available renewable resources, the EEA says the situation has been improving but that it is not clear whether the EU will meet its objectives. 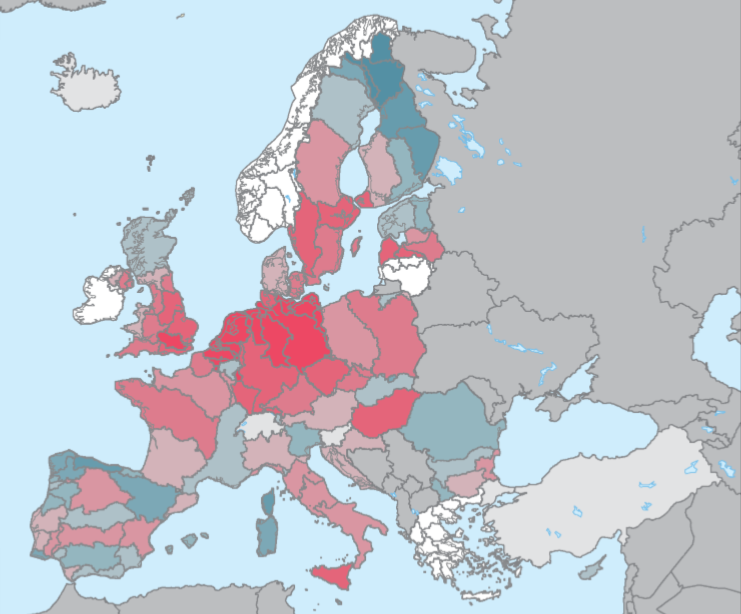 “While the area in the EU that was affected by water stress decreased, hotspots for water stress conditions are likely to remain given continued pressures such as climate change, increasing population, urbanization and agriculture,” the EEA says. The EEA says water stress hotspots will primarily be in the southern EU and various densely populated areas. It attributes these prospects to ongoing and projected pressures from climate change, urbanization and agricultural activities, meaning it is uncertain whether water stress can be prevented or significantly reduced across the EU. The EU Water Framework Directive sets an objective of good ecological status for surface waters, including transitional, coastal and fresh waters. According to the EEA report, the trend for surface waters has been static or unclear. Around 40% of water bodies have achieved good ecological status. “Considering the large proportion of surface waters failing to meet ‘good’ ecological status, it is unlikely that the objective of achieving good status of waters will be met by 2020,” the EEA concludes. Water bodies not yet achieving good status will need mitigation and/or restoration to meet the WFD objective. In some areas, mainly in northern Europe, the ecological status of over 90% of surface waters is moderate, poor or bad. While much progress has been made in reducing pollution, inputs from agriculture remain significant. The annual EEA Environmental Indicator Report provides monitors progress in 29 selected environmental objectives relevant to achieving three key priority objectives under the EU’s Seventh Environment Action Programme (EAP). These cover: natural capital (including biodiversity); a sustainable, resource efficient, low-carbon economy; and people’s health and well-being. According to the EEA, “the scoreboard paints a bleak picture for progress in improving the EU’s natural capital”, and says the overall progress is mixed for the other two priority objectives.